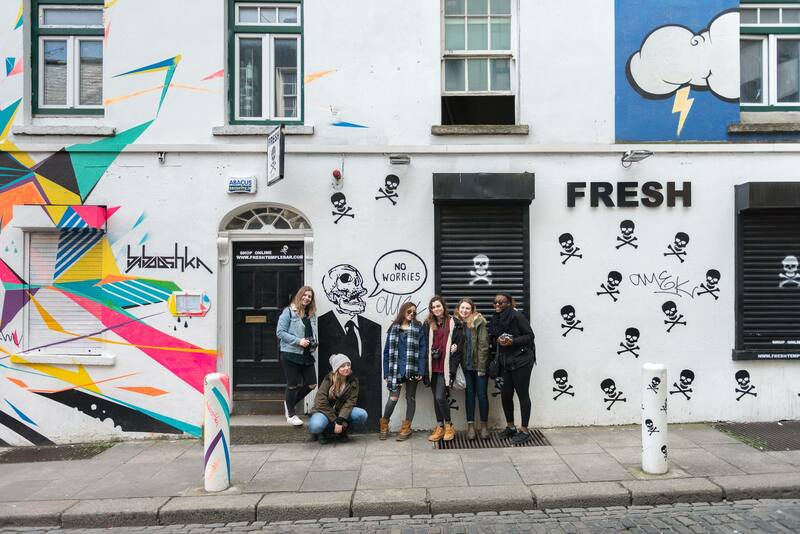 Over the course of seven nights, students from Penn Charter School in Philadelphia, Pennsylvania were challenged to observe, explore, collect and curate during their time on our farm and while in Dublin. For this trip, we explored ideas around building and editing collections and how this process might yield unexpected narratives. Through a variety of practical demonstrations, studio visits and excursions, we explored different methodologies for collecting and interpreting existing material and how this informs the creative process. Highlights included a visit from former residency artist Sabina Mac Mahon, a talk in Library Project with curator Kate Strain, a visit to the Royal Hibernian Academy, The National Museum and the Natural History Museum. For the project, students were asked to identify what they felt most rapaciously curious about in their immediate environment. They explored and researched their desired subject through methods of observation, collection, drawing, photography, and writing. With this research, they were asked to expand on, distil and curate their investigations, thoughts and findings into an artist book. The books were hand bound at Cow House Studios and were all between 12 and 20 pages in length.